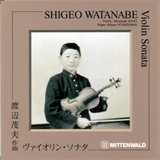 In my last blog I mentioned that the fate of WATANABE Shigeo 渡辺 茂夫 (1941–1999), whose birthday falls on 26 June, seems like Japan’s answer to that of the Polish violin prodigy Josef Hassid (1923–50). However, the two violinists actually have little in common beyond being violinists from an early age whose career ended early and tragically. Watanabe, the “divine child” (shindô ) or prodigy, seemed in many ways to personify the hopes and aspirations of postwar Japan. Before foreign virtuosos were once again able to tour Japan in significant numbers, the Japanese depended on native talent. From the age of 7 Watanabe gave recitals. Soon he was performing concertos with Tokyo’s professional orchestras. He even gave the Japanese premiere of some of them: Khachaturian, Bartók and Manfred Gurlitt (the refugee from Germany had intended the work for Georg Kulenkampff). Watanabe Shigeno performing the Tchaikovsky Violin Concerto with the Tokyo Philharmonic Orchestra under Sir Malcolm Sargent, October 1954: the famous conductor did not wish to perform with a teenage soloist, but changed his mind when he heard Watanabe play. Courtesy of Mittenwald, Tokyo. That was the problem. Or rather, one of several problems. Watanabe was not a table. When he set off for the United States in 1955 at the tender age of 14, he was already a mature artist. We know this from contemporary witnesses, Watanabe’s diaries, and of course from his recordings. He had also begun composing, and his works show promise. However, although mature as a musician, he was also a troubled teenager. Moreover, he had had a difficult early childhood, characterized by Japan’s general situation in the last years of the war and after total surrender, a disrupted family life and the excessive harshness of his musical education by his uncle and adoptive father Watanabe Sukehiko (1908–2012) who, it seems, poured all his own unfulfilled ambitions as a violinist into training his nephew. He succeeded, thanks to Shigeo’s extraordinary talent, but Shigeo’s development as a person did not match his development as an artist. Blinded by the achievements of the artist, Shigeo’s American and Japanese benefactors overlooked the vulnerable human being. Living far away from his family, in the country that had defeated Japan less than a decade early and studying with a teacher who, though in many ways outstanding, was probably not the best choice for him, Watanabe Shigeo soon became a very disturbed teenager. The modern word “culture shock” probably cannot even begin to describe his state of mind. It all ended on November 1957 when he took an overdose of pills. His life was saved, but he never recovered. 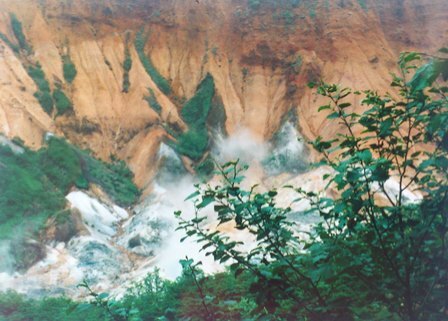 He was returned to Japan in the care of a young Japanese doctor and amateur violinist and spent the years until his death in 1999 as a shadow of his former self, cared for by his family. In the year of Shigeo’s return from the United States some media expressed the notion that his incapacitation was the result of an American conspiracy, but the theory was forgotten as quickly as Watanabe Shigeo himself. If any lesson is to be learned from the story it must be that it is perilous to forget that a great artist, especially a young one, may well be a vulnerable, even immature, human being.